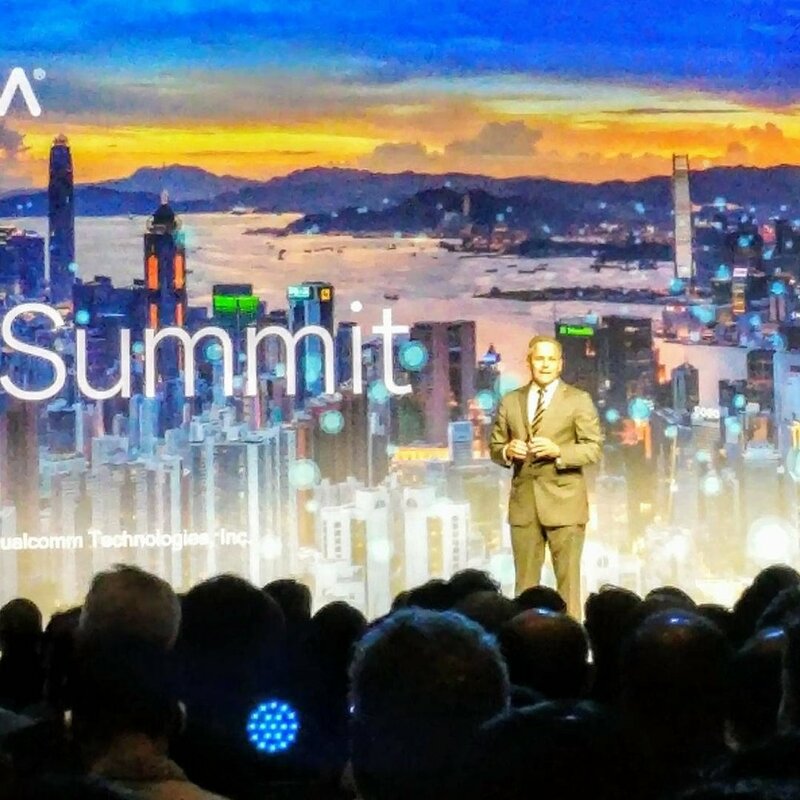 Qualcomm hosted their annual 4G/5G Summit at the stunning Kerry Hotel in Hong Kong. Over 2400 guests attended representing carriers, manufacturers, distributors, developers and media from every corner of the globe. Portway Technologies was proud to be selected again to develop the registration gift for Qualcomm's guests. This year we designed a 27W USB-C Power Delivery charger featuring Qualcomm Quick Charge 4+. The global travel charger was a very popular item with this crowd as it fast chargers most devices, has changeable plugs for use in over 220 countries and features the latest charging technology. Check-out the gallery below to see some of our experience. And contact us soon to discuss how we can help you with the best charging tech in the world. Joe Glynn, Qualcomm Vice President, kicking off the event and recognizing Portway for providing the attendee gift. Ⓒ 2017 Portway Technologies Limited.